Current and upcoming live and online free roll tournaments. Tournament buy-in to the $500,000 GTD Main Event ($1,650 value). WHICH ANYONE CAN PLAY…FOR FREE! The $25,000 GTD Freebuy Tournament is our latest innovation that allows you to take a shot at thousands of dollars at absolutely no cost! On Sunday, March 22nd at 12:30 pm ET we’re upping the ante by hosting this game-changing tournament. This rebuy/add-on tournament costs nothing to enter and is open to all players who have an account with us on ACR! We’ve capped the entry to this tournament at 8,000 players so you need to act fast! To get started with your free 1,000 starting chip stack, just enter the tournament through the tournament lobby. From there, you have the option to either fight it out with your initial starting stack or increase your chip stack through rebuys (2,500 chips) and add-ons (10,000 chips) that cost $25 each. The time to act is now. Simply sign up for your ACR account today to get into this incredible new combination of a freeroll and rebuy tournament for free! CLICK BANNER BELOW TO CREATE YOUR FREE PLAYER ACCOUNT & START PLAYING AND WINNING FREE CASH. Let’s congratulate Unforseen Nemesis for her top five finish. She has just added to her bankroll again. Way to stick to our bankroll management approach to building a bankroll. She is well on her way to the bigger games. Bigger games mean bigger cash awards. WTG! Today starting at 9:00 PM there will be a $250 freeroll and there will be a new $250 freeroll starting every fifteen minutes after that until 10:00 PM EST. As always good luck and may your pocket pairs hold. $250 Freerolls Starting At 6:00 PM EST. Today starting at 6:00 PM there will be a $250 freeroll and there will be a new $250 freeroll starting every fifteen minutes after that until 7:00 PM EST. If you are a new player and would like a place to learn and play for free, may we suggest joining Team P4AC at America’s Card Room. We have play money tables, freeroll tournaments for beginners, cash games and tournaments for more serious player’s and anytime you play in any real money cash game or tournament at ACR when you sign up through us your rakes and fees will go to charity. Team P4AC membership – As a team member not only will you get access to all of the games and tournaments ACR has to offer but you also receive access and invites to all of our private games and tournaments and much much more. Get 24/7 freeroll access, access to free one on one poker training with deposit of $25 or more, access to news letter and videos of live comedy, music and poker events plus updates about the people you are helping at P4AC Veterans House. Get a team patch, hat or shirt with any deposit of $50 or more. 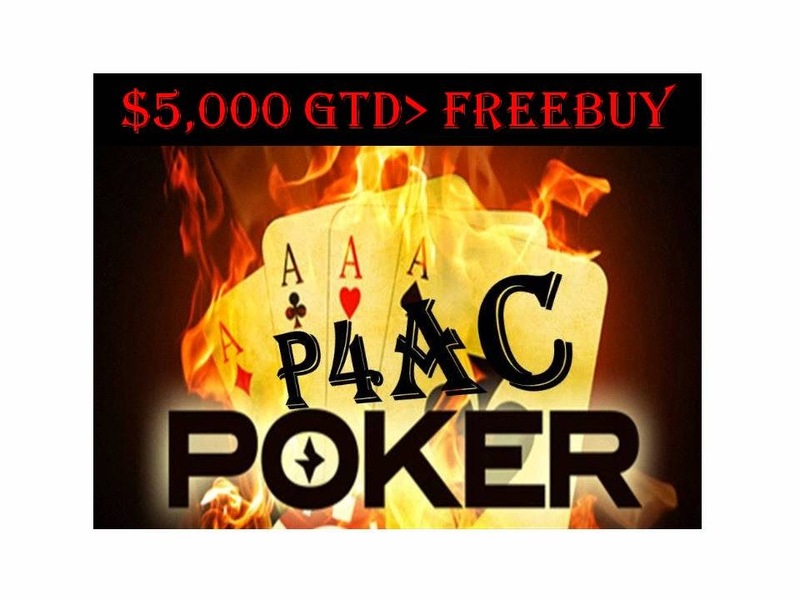 Get private game invites and access to P4AC freerolls. Visit our chat page to talk with other members while you play or watch. Remember even if you do not want to play you can still watch other Team P4AC members as they play their way through the fields and try to place in the money. You will only need our free software. Click the banner below to download ACR for free and start playing, learning or watching for free and become a member of Team P4AC today.